I hadn't planned on opening my new social activism project today, nor had I planned on starting it like this. I got lucky, however, and obtained the materials necessary a day early, and the issue is important enough locally, that I thought I would start this way. A small Missouri newspaper, the Monroe City Lake Gazette, has refused to publish the wedding announcement of Aaron Lopez and Shaun Murphy. Citing their corporate owner's policy, the Lake Gazette wouldn't accept the wedding announcement. They wouldn't even accept paid ads sent in by friends & family wishing them love and success as a new couple. Let's get down to the meat of the issue, and the chief argument for Lakeway Publisher's, Inc.'s refusal. "They are a private business, don't they have the right to refuse service?" This issue has come up time and time again in recent history. Did you know when else it came up? No, I'm not talking about the bakery; I'm talking about Jim Crow laws. A gay couple moves into a new town in Missouri. They are about to visit the local grocery, but as they walk in, rumors have already spread that the couple is gay. The manager sees them, and says, "Sorry boys, but I'm going to have to stop you right there. We don't want to support your sin, so we're refusing you service." What is the gay couple supposed to do? Go to the next town over for their groceries from now on? Let's change things a bit. An interracial couple walks in to a grocery store, and gets the same treatment. What if it was just one black man? "But our religion doesn't forbid service to one or more of those groups!" Ok, no problem. I've got another example for you. A woman walks into a grocery owned by a Muslim Fundamentalist. Her husband died in military service, and she's caring for a 2 year old child. It's summer, so she's wearing shorts and a tank top. Can the grocer refuse service to her? No? Why not? You might claim that religious freedom only extends to Christian religions, but how is that fair? Ok, let's replace the Muslim Fundamentalist with a Christian Fundamentalist, and make the woman a well-dressed professional preparing to interview for an instructor position at a gym. Go ahead, I'll let you do the research this time. You know my answer. When we refuse service based on religious grounds, we hurt the freedom inherently valuable in America. As well, all of the people listed in these examples are legally allowed to live as Americans, with full rights afforded to them. They have done nothing wrong according to the law. They are kind, loving people, just like Aaron and Shaun. There is no way to draw a line and not destroy the freedom America affords. We become oppressors, and worthy of disgust to be thrown at us. Persecution of anyone, regardless of race, gender, sexuality, clothing, and more is deplorable. Christ didn't ask for the sexual background of his followers before loving them. Should you? You can download a PDF of the temporary tattoo with QR code for Publish All Weddings here. UPDATE: The QR code may not be scannable depending on the shape of where you place it. Instead, you can download an alternate with a short URL. All the future ones will encourage the use of this. You are also free to remove my logo from the tattoo, if you like! 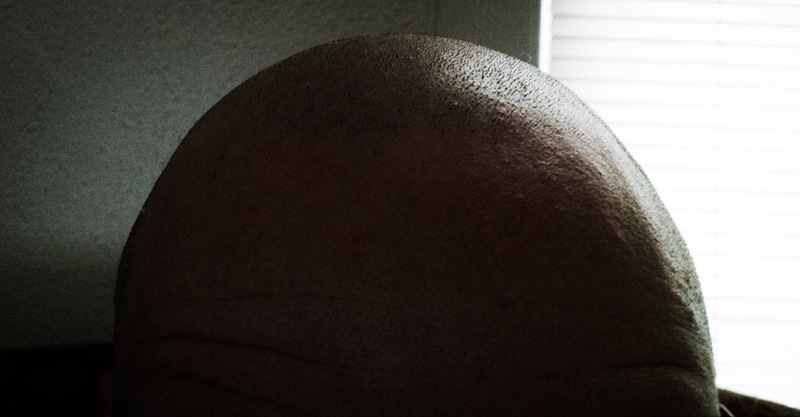 The Headlines Project is a social experiment where I print (using temporary tattoos) short "headlines" on my bald head with a QR code on the back of my skull linking back to these posts. You can read more about the headlines project in the next update.